The machine shall be tested before being filling capsules. 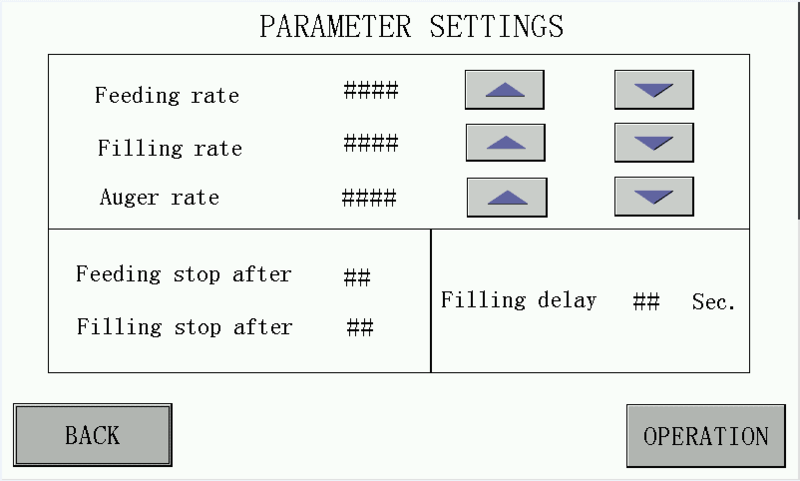 The operator is required to be familiar with this manual, and well know the performance of every machine parts and the role of each button on the control panel, before machine testing. 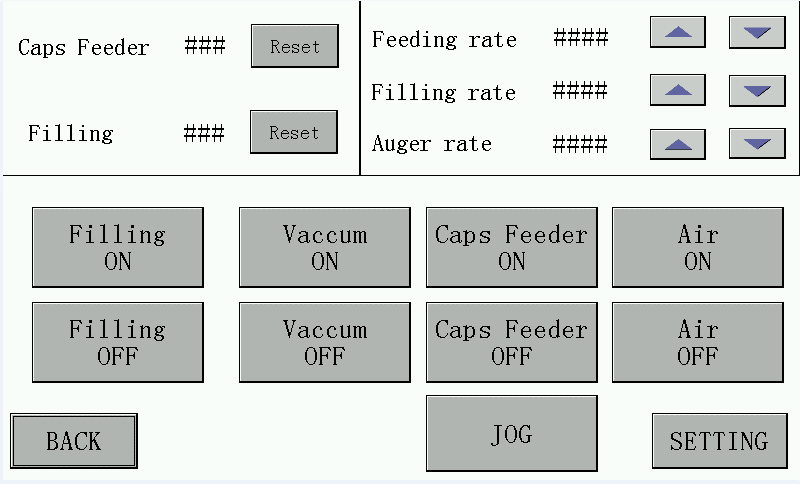 The machine needs to be connected to the AC power supply of a suitable voltage. And the machine shall be well grounded or connected to neutral, according to the regulations of the local power supply system regulations. Check whether all parts of the machine are in good condition and lubricate machine parts as required. Insert the aviation plug into the accordingly and connect the air compressor and vacuum pump to the air source. Connect the machine to the power supply, turn the air switch on the electric control box to “close”, the parameter display on the control panel lights up. Turn on the vacuum pump to check if the vacuum pump motor rotates in the same direction as the arrow. Connect the air compress to the power supply of 380V or 220V (optional), check whether the air compressor motor rotates in the same direction as the arrow. Turn on the vacuum pump and the air compressor, the rotating direction shall consistent with the direction of the arrow. Turn the knob R to the low position, and then turn on the capsule loading motor. Press (ON) and rotate the knob (R) to make the capsule loading mechanism speed up gradually until it reaches the top speed, and there shall be no mechanical jam or abnormal noise. Pour empty capsules into the hopper, test capsule loading at low speed, and gradually speed up. Adjust the running speed according to the capsule quality purchased. For capsules with good quality, the machine can be run fast, while the machine shall run relatively slowly if the capsule quality is not good. Put the lower mold to the turntable and add the powder to the hopper. Press the filling button (ON) to fill the capsule. Cover the filled lower mold with the upper mold, and move them to the locking station, ensuring that the thimble is inserted into the hole of the mold. Then, turn over the locking cover, and eject the capsule by pressing the foot pedal or locking button. 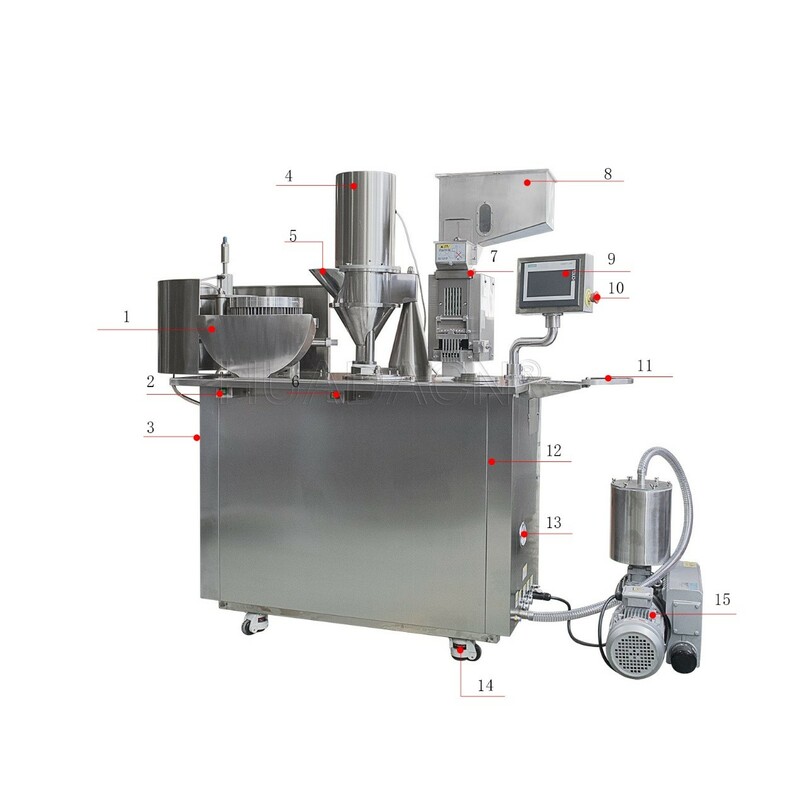 If you have not purchased the capsule filling machine, you can check out our Capsule Filler Selection Guide for more information, and product information of our Semi Automatic Capsule Filling Machine is also available.